* Total number of reviews and star-ratings are based on data collected during the time period SafeTouch Security has been using the ReviewBuzz system and may not directly match the data found on each public review site. 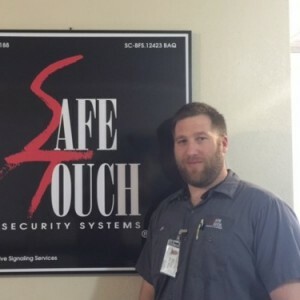 I just switched from one major security company to Safetouch and is already excited with the technical changes, security responses, and especially my sense of security. The technician, Sammie C., was extremely focused on properly and efficiently securing my home. He was just as concerned about making sure he trained me thoroughly on the system, as well as leaving my home as neatly as he found it. Joe was outstanding. Very concerned about customer satisfaction. On time and efficient. Highly recommended. Sam ** with Safe Touch In Jacksonville Fl. came in and checked out the entire security system, replaced batteries, was very thorough and courteous. He is a definite asset to your company. How do I speak to someone in authority about our complete dissatisfaction with Safe Touch. Most recently it is the ridiculous expectation that the earliest service call we can get is 11 days away. On Friday night our panel start ed emitting an unnerving , concentration rattling beep because the room sense battery was low and needed to be changed. This causes the panel to beep loudly every 30 secs. The star key silences it for awhile but for next 11 days we expected to be on duty to stop what we are doing like sleeping to get up and silence it. We are not able to change the battery ourselves and when the 11th finally come around I have to leave work and wait for the technician for a window of time as if my work time is irrelevant. I have disabled the entire system by unhooking the main power and back up source which I told the call center I would have to do in the interim. Even with providing that information to Safe Touch I am sill getting calls from the call center asking us if we know the system is down. This is not the first time we have been at the mercy of the shoddy service coverage in Tallahassee. I really expected more but have come to find out we are just minimal market location for a business which operates from a different city. I have one year left on my contract until I can cancel It and put this horrible decision to go with Safe Touch behind me. I think it is criminal how unsupported we are as Safe Touch customers and you can bet my negative experience with will be reflected in my honest review of the Safe Touch. Perhaps when the service technician finally arrives on the 11th at a yet to be determined time s/he can just check all the potential low battery culprits, the sensors , the panel etc. so that maybe we can make it through the next 12 months not having to rely on the nonexistent Safe Touch customer care and service. Please convey this request to the technician. He was great installing a new system. He answered my questions and showed me what he was doing. Real happy. Joe was wonderful. There was actually a schedule change and I managed to get away from work and meet him earlier than expected. He fixed my problem pretty quickly and then tested everything out. System works great. He was quick to answer any questions I had. Thanks Joe. Joe was on-time, efficient, knowledgeable and very helpful. Technician Hosner was great. He arrived early during our appointment window. He came to repair a sensor but did much more. He fixed the damage caused by the neglect and ineptitude of a previous technician. He found an exploded battery in one of our sensors. Hosner replaced the entire sensor with a new one. Hosner also determined that a zone in our house would NEVER arm because the last technician glued the magnetic contact upside down and never tested it. Hosner figured it out and fixed it. He explained what he did and how to check to make sure that zone properly arms in the future. Hosner changed the batteries in my fobs. Hosner tested my alarm and made sure everything was perfect. He made sure I knew what the message in the panel was and how to make verify that previously non-working zone was armed or disarmed. Excellent work , very professional. Very quick and efficient service ! Odey did a fantastic job analyzing, repairing and testing my system. Knowledgeable, courteous and very professional. The technician and his trainee were on time, worked quickly to clear the trouble indicator. They were very thorough testing the system, and replaced contacts that were giving errors. They were professional and polite explaining what they were doing. 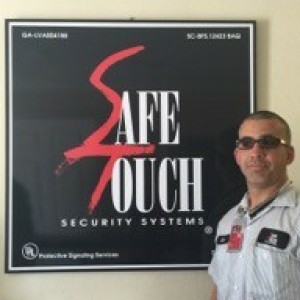 Glad to be a SafeTouch Security customer since 2005. Excellent customer service!!! Leonardo was fantastic and finally fixed the ongoing issue with my system! Very talented technician , I greatly appreciate the work he did. Super great service, very polite and helpful, Leonardo Navarrete is very professional. He had the answer for all my questions ,amazing the I was able to communicate either in Spanish or English. 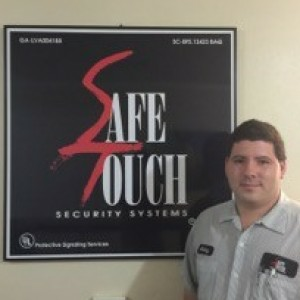 Safetouch should be proud to have an employee like this. 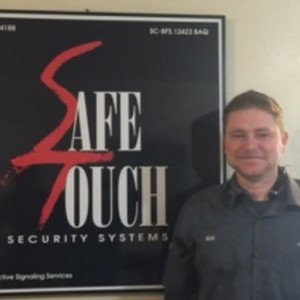 Customer service is always a top priority at SafeTouch Security. Our BBB Membership rating is like a badge of honor as we continuously strive to provide the best experience for our clients. Hosner V has a 5-Star rating and leads the company in total reviews, making this pro a ReviewBuzz Rockstar! I had a great install by Hosner. He was on time for the appointment, attentive and informative. The Service Tech, Hosner was very professional and resolved the issue. He tested the system to be sure all was working as designed. Thank you Hosner! Hosner did a great job with the installation of my new security system and was able to answer any questions I had. Mr. Hosner was very professional, he was patient with us on explaining the do's and don'ts. Felt very comfortable around him. So happy so far. I recommend Mr. Hosner to service or install anytime. Nice man. 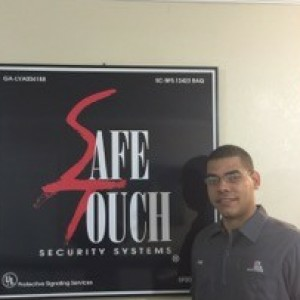 Safetouch tech Hosner did a superb job. Very patient and thorough, taking the time to explain the system in detail. He arrived early and took care of everything. We had our new system installed today and couldn't be happier !!!!! Hosner is a total professional !!!! Our appt. was late on a Friday afternoon and Hosner was very pleasant, knowledgeable, and very helpful at a time when most folks were probably already home enjoying their weekend. He thoroughly explained and demonstrated every part and feature of our new system; and after completing the install, he did not leave until every one of our questions were answered ( and we had a ton of them ). 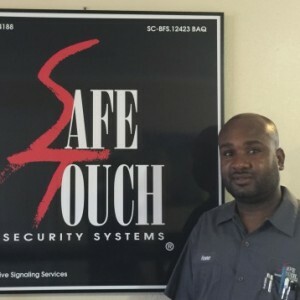 We have used SafeTouch for just over 10 years now and would highly recommend them to any and everyone for their security needs, and have Hosner do your install !!!!!!!!! !